Ukrainian-Polish Forum of the Association of rectors of higher technical educational institutions of Ukraine and the Conference of rectors of technical universities of Poland "Technical Education - for the future of Europe", which was held at the National University "Lviv Polytechnic" on the 6th-9th of November 2014, successfully completed its work. We thank all the participants for their fruitful work and hope that your stay in Lviv was interesting and useful. 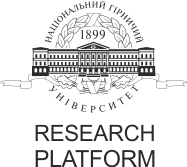 Recommendations for Ukrainian-Polish Forum of Association of rectors of higher technical educational institutions of Ukraine and the Conference of Rectors of Technical Universities of Poland "Technical Education - for the future of Europe"
Copyright © 2019 Ukrainian-Polish Forum of rectors of technical universities. All Rights Reserved.